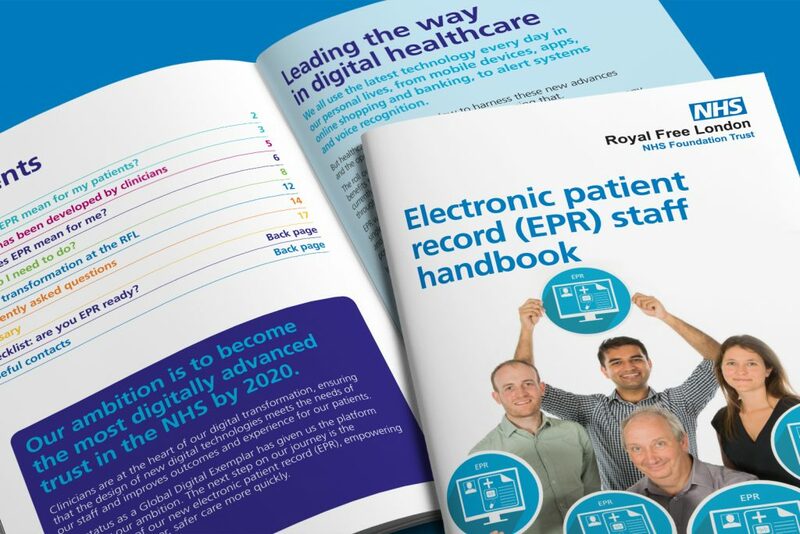 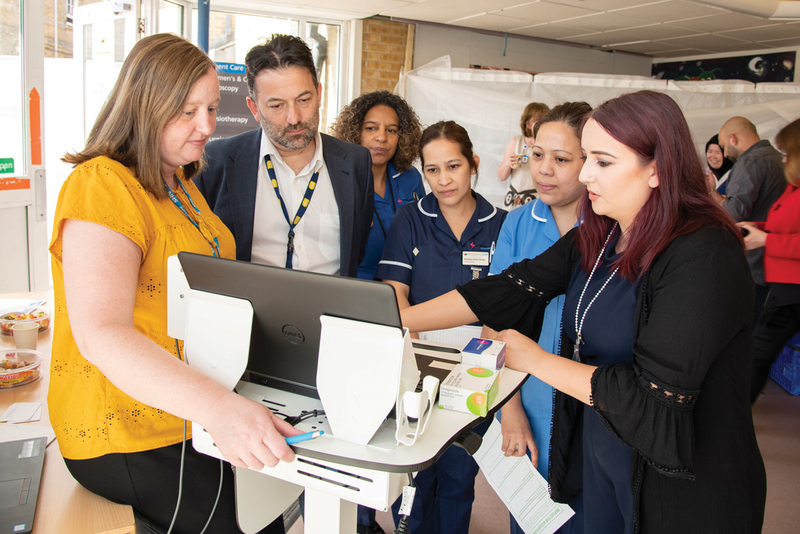 The Royal Free London aim to be the most digitally advanced trust in the NHS by 2020, and Electronic Patient Records (EPR) is the next step. 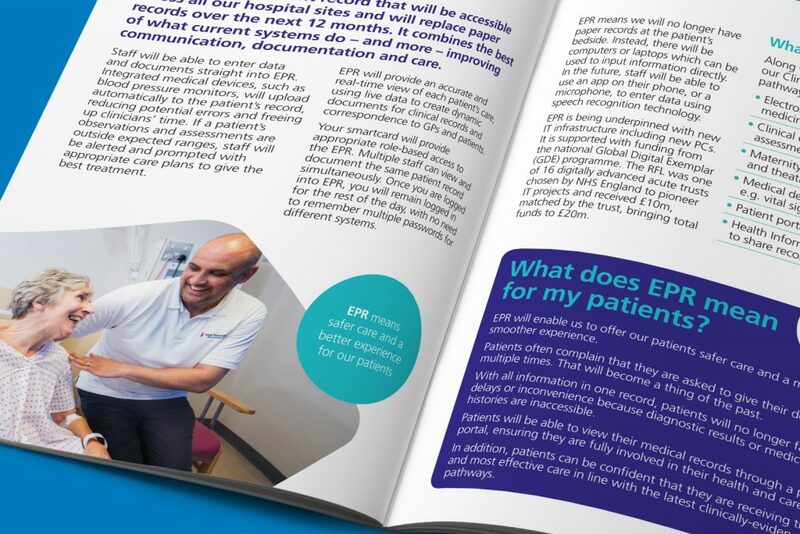 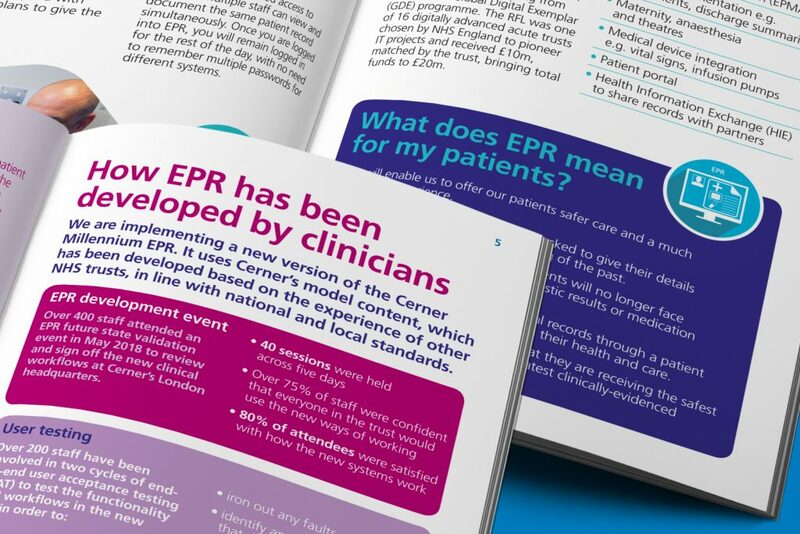 Our brief was to design a staff handbook outlining what EPR is, how its been developed, how to use it and what it will mean for different staff. 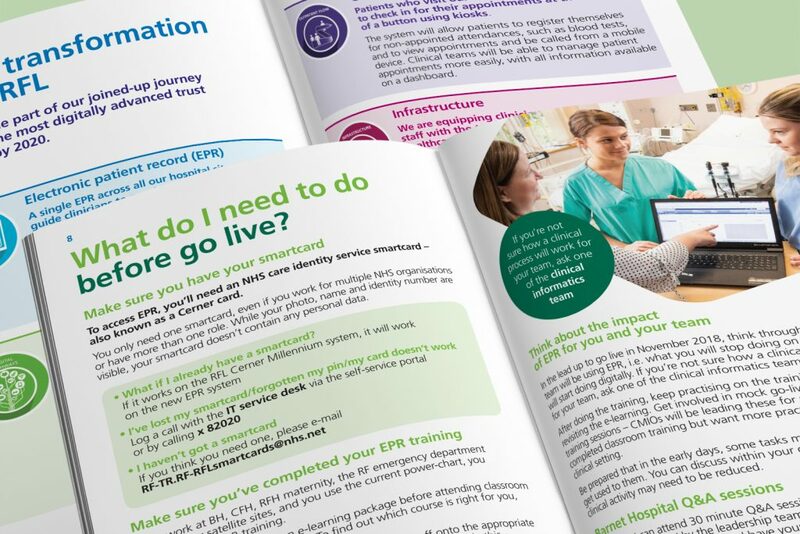 We designed a 20 page A5 staff handbook with the same visual language as our guidebook for Chase Farm Hospital. 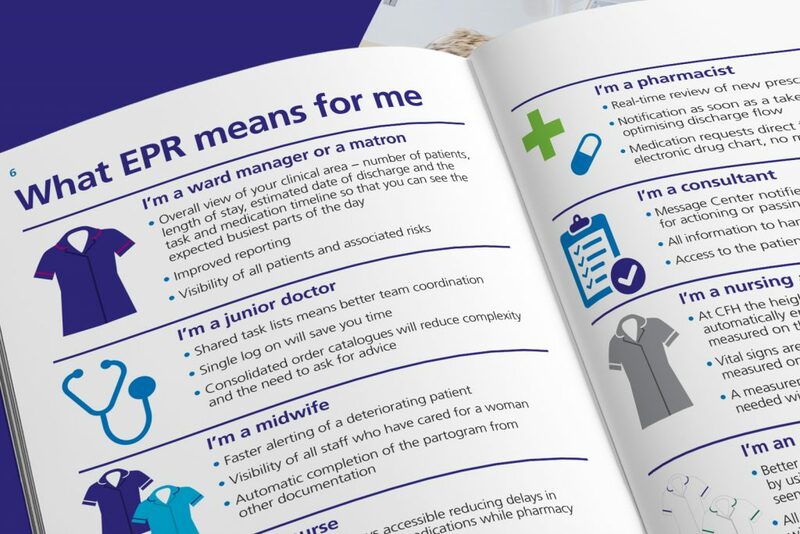 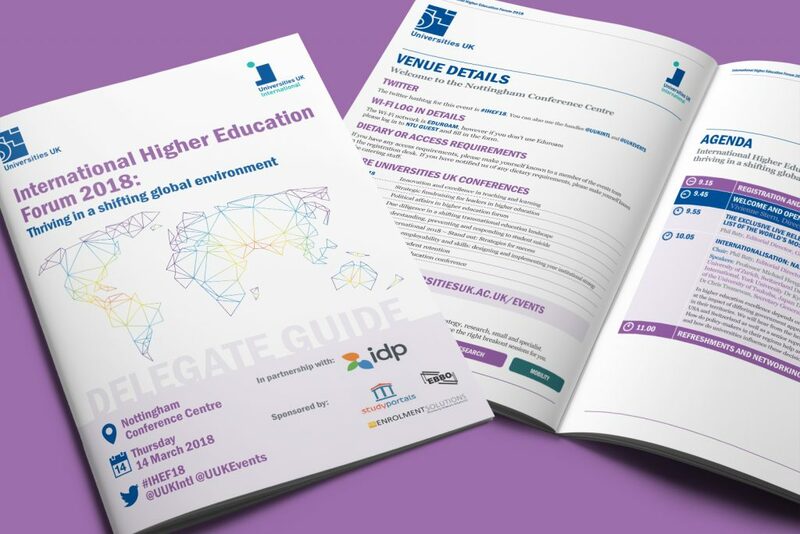 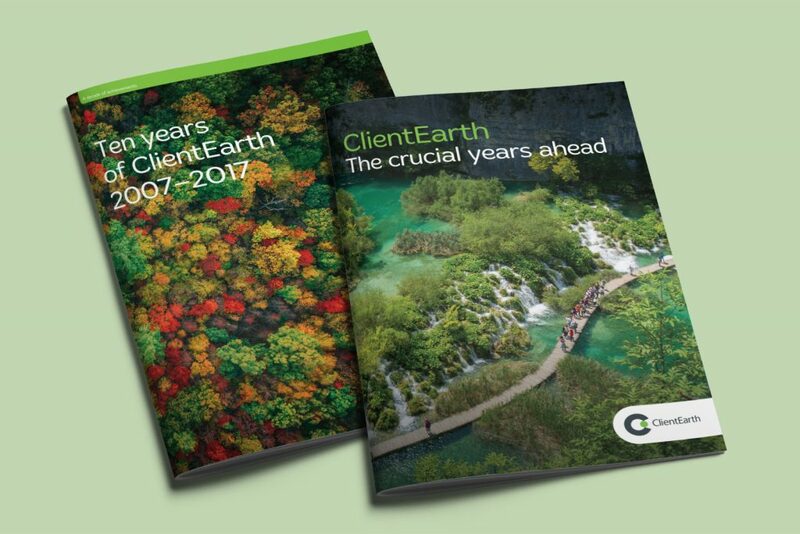 We used strong typography and hierachy of information, bold colours, real photography and colour-coded section, to help staff navigate through the document. 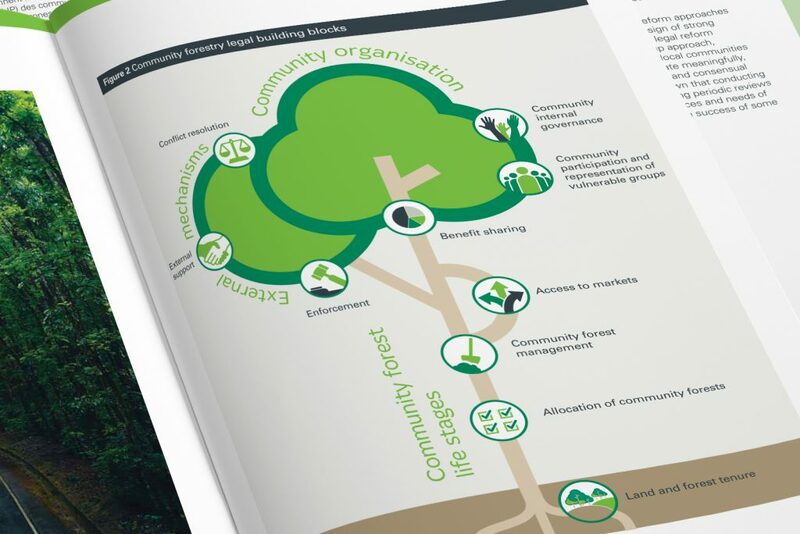 The existing campaign icons were used throughout, providing campaign awareness.